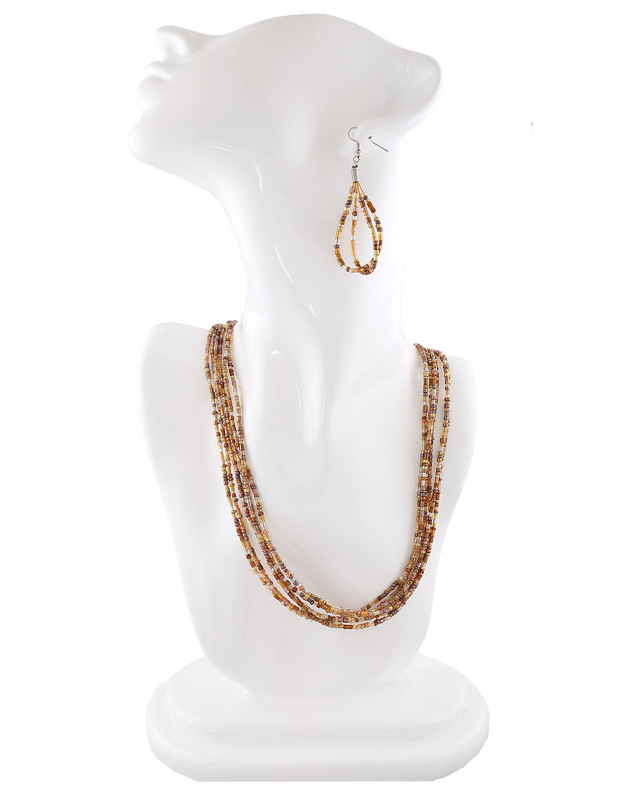 Brown colour multiple layer beaded necklace set will appeal to at very first look. This necklace set is good in quality and will complement your many costumes. The beads used to design this necklace are cheed beads and is good in quality and will be your fashion companion for many years. So buy now!